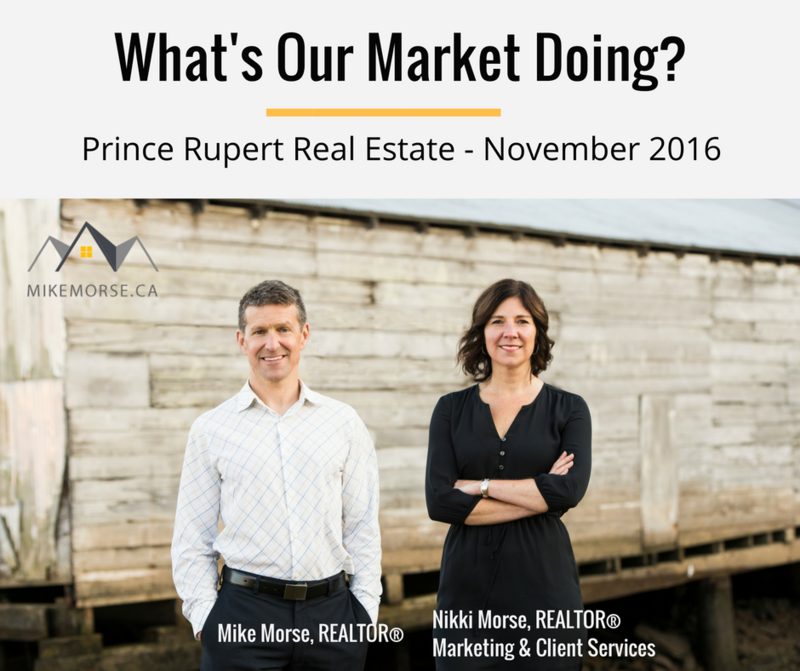 The market in November was a fair month in Prince Rupert real estate. The year-to-date total value of all sales ended up being very similar to last year. As of November 30, 2016 it was $49,099,720; last year it was $49,316,251. However, total sales for the month of November 2016 were $1,654,500 as opposed to $3,209,500 last year. Notably, the “ratio of sales to actual listings” went down to 4.7% in November from 10.34% in October. When reviewing the last 3 years, it is reassuring to see that a low percentage has been the norm for November, December and January. Usually, anything under 15% is considered a buyer’s market, and anything over 20% is considered a seller’s market. The last time we had a number over 20% was in April, May and June of 2014. We hope all of this hasn’t confused you! If it has, that’s because it is! It can make your head spin. If you have any questions or want to discuss, don’t hesitate to contact one of us. Mike @ 250.600.6620 or Nikki @ 250.600.4650.